Jonathan Wentz at the 2012 London Paralympics cheering his team on. Photo (c) Lindsay Yosay McCall. 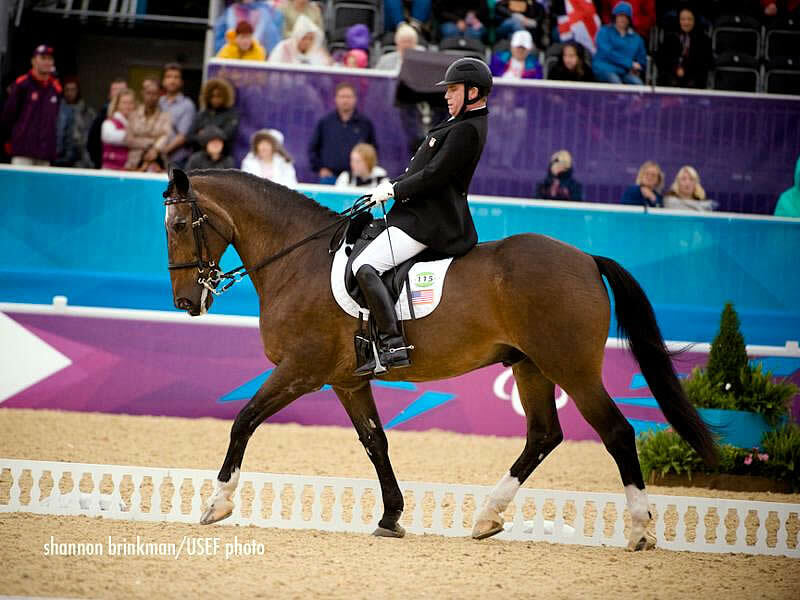 Del Mar, CA – March 6, 2013 – For two exciting evenings the late Para-Dressage rider and USPEA member Jonathan Wentz will be honored in the Southern California community. On March 7th, the United States Para-Equestrian Association (USPEA) presents “Inspire a Generation” private Benefit Party and Auction Honoring Jonathan Wentz Hosted by Rancho Valencia Resort in Rancho Santa Fe, California. Guests will learn about the newly created Jonathan Wentz Memorial Scholarship Fund before enjoying delectable hors d’oeuvres and drinks, and entertainment by musician Mack Bailey. Patrons of this event will be given the opportunity to bid on the finest of auction items and experiences. Although the party is private any person may bid on the unique auction items. Please contact Lisa at lblaufuss@dressageevents.com if you are interested in bidding on the auction items virtually or over the phone. The auction will commence at 7:00 p.m. (west coast time). Please view the list of auction items by clicking the link below. 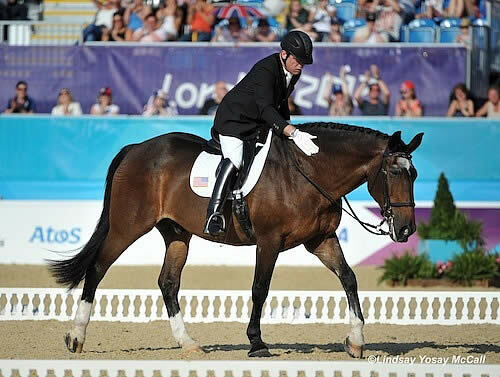 The Jonathan Wentz Scholarship Fund was established to continue the dream of Paralympian Jonathan Wentz; to advance High Performance Para Dressage in the USA by supporting and encouraging Para Dressage Young Riders to set the goal of International competition. At age 13 Jonathan set the goal of riding for the USA in the Paralympics. At age 16 he established a plan and budget to achieve his dream. 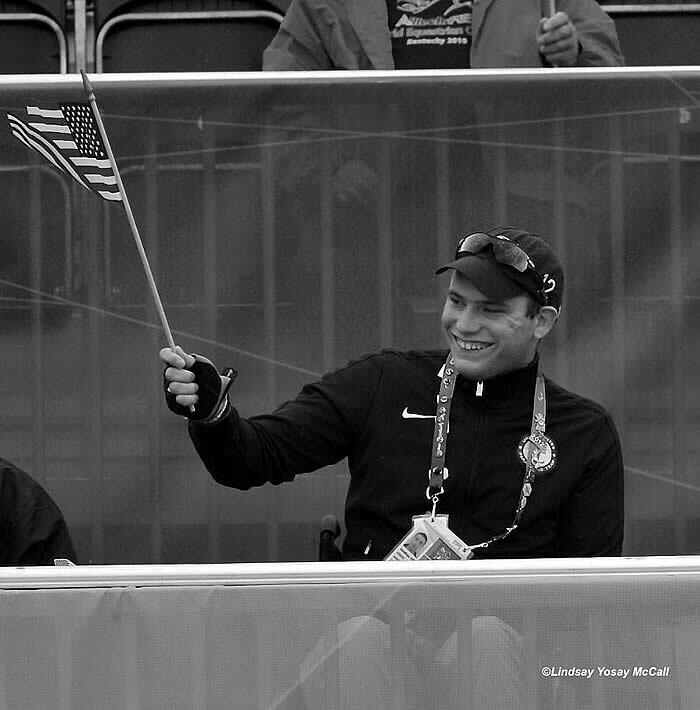 In 2012, at the age of 21, Jonathan was able to achieve his dream of riding for Team USA in the 2012 London Paralympics earning the highest placing of all U.S. equestrians that competed in London. Another goal of Jonathan’s was to develop a Para Dressage Young Rider program to help grow and improve Para Dressage in the USA. His scholarship fund will be used to offset the cost of International competition for Para Dressage Young Rider’s and to encourage their participation enabling them to excel in their sport. 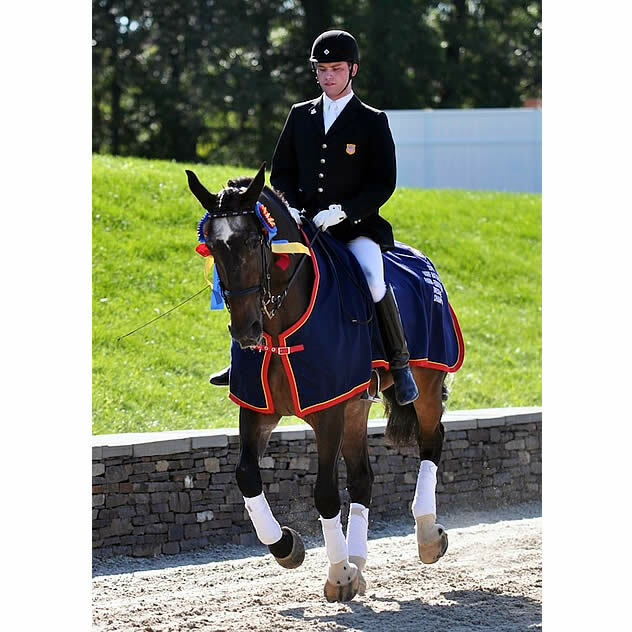 Scholarship funds will go toward Para Dressage High Performance Young Riders, ages 16-25, within the competition year, who are actively competing in International Para Dressage competitions, 3* and above. Funds shall be awarded to help offset competition expenses up to $1,000.00 per competition to help cover entry fees including stabling and/or shipping (greater than 500 miles one way) costs for competition. Athlete’s must submit a Jonathan Wentz Scholarship Grant Request form with expenses itemized, along with a copy of completed entry forms, invoices and/or receipts for consideration of scholarship funds, along with a list of their competition highlights, competition goals and competition plan/schedule for the current 2 years. (Example; 2013-2014, 2015-2016) Scholarship funds are intended for direct payment of specific competition expenditures, entry fees, stabling, and/or shipping only. Checks made out to athlete or immediate family for reimbursement will require a completed W-9, and will be subject to the approval. Scholarship funds may be awarded for a maximum of two CPEDI3* events per competition year with a maximum of $1,000.00 awarded per competition. Grants are subject to the approval of the USPEA board. Funds will be awarded based on “own horse” (according to FEI Para definition), distance to competition, number of competitions athlete is planning to attend in 2-year competition period, and/or number of applicants. The Rancho Valencia Dressage Affaire CDI YJ3* will be hosting the 1st Annual Wooden Horse Race and Casino Night March 8, 2013. This event will commence after the last class on Friday at the Del Mar Horse Park. The entire evening, featuring horse races, casino games, appetizers, and awards, will help benefit the Jonathan Wentz Scholarship Fund under the United States Para-Equestrian Association (USPEA). There will be 12 wooden horses available for purchase at check in. Trainers would make a donation for their horse of $50.00 and can decorate them to make them unique. Supplies will be available and payments collected by your Bookie/Barn Manager Lisa Vidov. Display your horse in your barn area and solicit clients and friends to join your syndicate for a donation of $5/person. You can choose to make your investment back first or let it ride in the pot. There is no limit to the size of your syndicate. Proceeds will support the United States Para Equestrian Association. On Friday, at the end of the show day, all horses will collect in the paddock (warm up arena) for display purposes. Then, when the bugle sounds, each trainer will parade their horse to the start gate and the race will occur down the FEI Jog lane. Winner and syndicate will get photo opportunity in the Rancho Valencia Arena with their horse and trophy presented during the Brunch on Sunday. Continue on to vendor row for “Around the World” appetizers and drinks sponsored by your vendors and try your hand at BlackJack, Craps or Roulette!!! Make a donation to the USPEA for $20.00 worth of chips/play money to use at Casino Night. Free drawings for more prizes! Richardson, TX – October 1, 2012 – The equestrian community grieves today as we remember Jonathan Wentz who passed away over the weekend at the young age of 21. Jonathan was a delightful person and an inspiration to all. He will be greatly missed among his family and friends. Jonathan was in his final year at Southern Methodist University where he was well-respected among the staff and students. Born with Cerebral Palsy, he began riding horses as a form of therapy at age five at Equest Therapeutic Riding Center in Wylie, TX. His mother, Christina, was a Physical Therapist and knew in a short time that this sport would be more than just therapeutic. As Jonathan progressed he began to focus on competitive Dressage. In 2008 Jonathan and his family moved to Richardson, Texas where he began training with Kai Handt at the North Texas Equestrian Center. 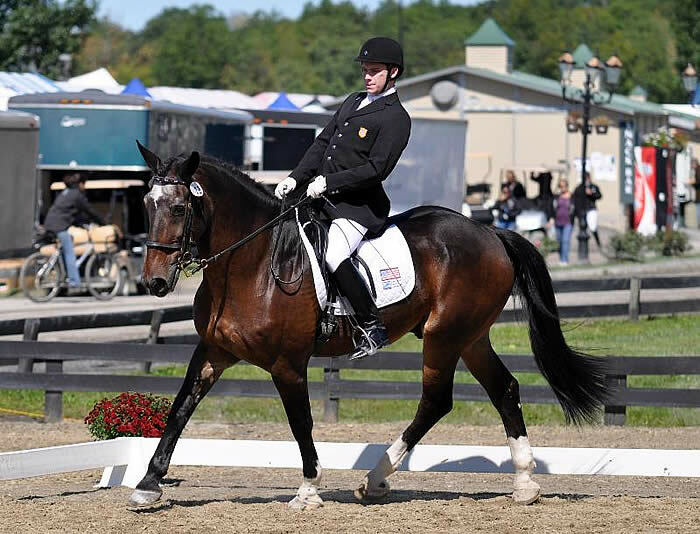 In six months Jonathan competed at his first CPEDI3* and USEF Para-Equestrian National Championships. That same year, he earned High Point Individual Rider at the Region 9 Junior Team Championship and qualified for the 2009 Region 9 USDF Championships. Jonathan would continue to excel as a young rider in 2009 and continuously worked towards his goal to ride at the London Paralympics in 2012. Lexington, KY – The United States Equestrian Federation mourns the loss of a great competitor and advocate for para-equestrian sport. Jonathan Wentz passed away September 30, 2012. Wentz had recently returned from London where he was a member of the U.S. Team that earned seventh place at the 2012 Paralympic Games. At those Games, Wentz also finished fourth in the Individual Test and fifth in the Freestyle Test in Grade 1b competition riding Kai Handt’s NTEC Richter Scale. These strong results earned Wentz the distinction of being the highest-placed American equestrian at either the London Olympic or Paralympic Games. Wentz enjoyed an extremely successful career with NTEC Richter Scale a horse that carried him to the World Championships, Paralympic Games and a National Title. In 2010, the pair represented the U.S. for the first time at the Alltech FEI World Equestrian Games and the following year they claimed the USEF 2011 USEF National Para-Equestrian Championship. 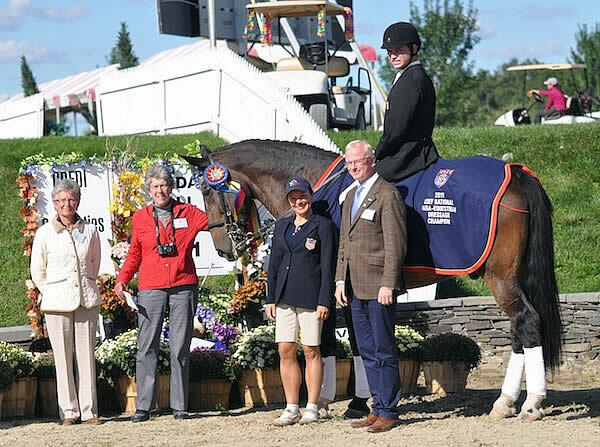 In 2012, the combination earned Reserve Champion honors at the 2012 USEF National Para-Equestrian Championships and Paralympic Selection Trials prior to travelling to London. Wentz also finished in sixth place with Silvano at the 2012 National Championship. Greenwich, UK – The Para-Equestrian Dressage competition of the 2012 Paralympic Games kicked off Thursday with Grade II and Grade 1b riders completing their Team Tests on a day that ran the gamut of English weather. The U.S. sent three representatives into the main arena with Rebecca Hart and Dr. Dale Dedrick competing during the Grade II morning session and Jonathan Wentz competing in afternoon Grade 1b competition. Riders for Great Britain set the pace in both divisions with Natasha Baker and Cabral, competing as an Individual, scoring 76.095% in the Grade II Test and Lee Pearson riding Gentleman scoring 74.682% for their Grade 1b Test. Wentz leads the U.S. after being awarded a 70.364% from the Ground Jury of Kjell Myhre, Sarah Rodger, Gudrun Hofinga, Freddy Leyman and Anne Prain. Wentz (Richardson, TX) and Kai Handt’s NTEC Richter Scale demonstrated the strength of their partnership that has spanned four years producing a forward, accurate test. The 18-year-old Shire cross gelding was completely unfazed by the electricity of the arena and crisp damp weather. The pair has been working on improving the walk movements and halts and their diligence paid off in London. Saugerties, NY – September 18, 2011 – Intensity, impulsion, power are three words that defined Sunday’s Para-Equestrian Individual Test competition at the 2011 NEDA Fall Festival of Dressage. Sunday was the last day of the CPEDI 3* and it was the championship day for the 2011 USEF Para-Equestrian Dressage National Championship. After Saturday’s Freestyle only a tenth of a point separated Jonathan Wentz and Dale Dedrick for the National Championship. Following an exceptional day of tests Wentz earned the scores he needed to earn the national championship. Only .308 behind Wentz was Dale Dedrick and Bonifatius who garnered the highest score of the day from Judge E, Anne Prain of France, a 75%. Dedrick’s percentage secured the reserve championship accolade. In the CPEDI3* Team competition Para-Equestrians from USA, Canada, Ireland, Mexico, and Bermuda competed in Grades Ia-IV under judges Anne Prain of France, Kjell Myhre of Norway, and Carlos Lopes of Portugal. The USA achieved the top ranking with team members Jonathan Wentz, Mary Jordan, Wendy Fryke, and Rebecca Hart. Jonathan Wentz and NTEC Richter Scale. Photo: Lindsay Yosay McCall 2011. Saugerties, NY – A blast of autumn greeted riders on the second day of 2011 USEF Para-Equestrian Dressage National Championships as temperatures dropped to near 40 degrees overnight. The cool weather did not stop the best Para-Equestrian competitors in the U.S. from achieving strong scores in their Freestyles. Competitors from the five different grades (athletes are graded based on the severity of their disability) of Para-Equestrian Dressage are vying for the National Championship title. 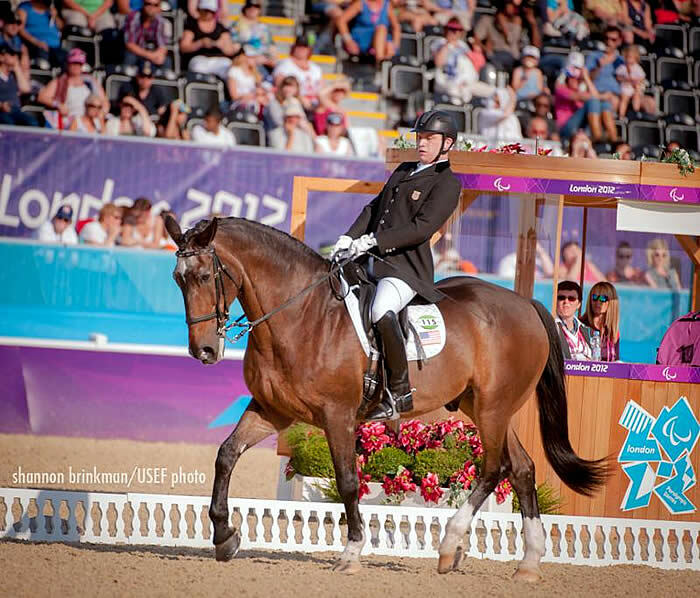 Jonathan Wentz, a member of the Kentucky Equine Research U.S. Para-Equestrian Dressage Team at the 2010 Alltech FEI World Equestrian Games, heads the field in the National Championship with his WEG partner, NTEC Richter Scale. Wentz (Richardson, TX), who has two rides in the Grade 1b division, used the experience he gained last year in Kentucky. He rode his coach Kai Handt’s NTEC Richter Scale to a score of 71.515% in Friday’s Team Test, which counts for 40% of the overall score, and produced an eye-catching Freestyle today to score 71%. Wentz will try to maintain his lead tomorrow’s finale, the Individual Test.